with data from the other process structure, and continues. memory space, with many virtual CPUs running different parts of the program concurrently. code they run, and the global data that they share are all in user space, directly under user control. 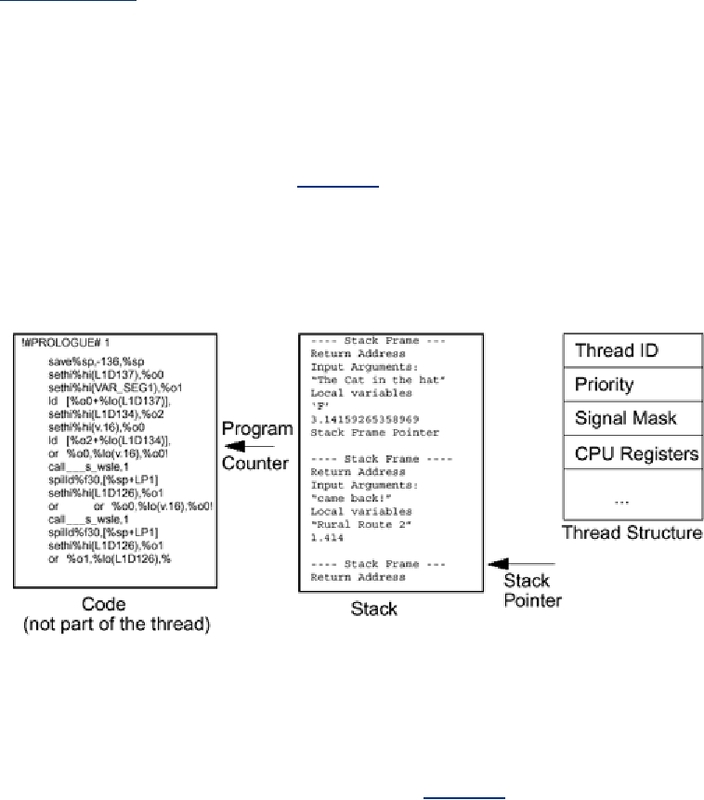 The thread structures are also in user space, but completely under the control of the threads library. every other system library, is just regular user code that you could have written yourself.